Did you know that there are wolves living among us in Southern California? Sadly, most of these wolves are not living in the wild, but in wolf sanctuaries, which are conservation organizations set up to protect them and teach the public about the importance of their existence. Wolves are wild carnivores, members of the dog family (Canidae). They are believed to be ancestors of the domestic dog, which evolved separately more than 20,000 years ago. Researchers say that the lack of wolves is one of the main reasons why the coyote population in Southern California has been expanding rapidly over the last 50 years. There are over 5 wolf sanctuaries and education centers in Southern California that are open to the public. Typically, visitors are welcome to get up close and personal with these magnificent, super-intelligent animals and “talk” with them. For example, sometimes when you howl at them, they will howl back. 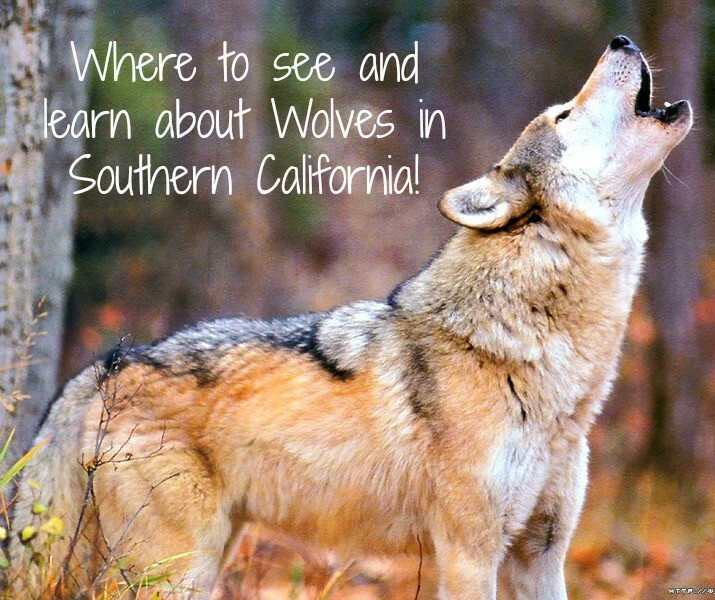 Read on to find out more about these wolf sanctuaries in Southern California, as well as where you can see some wolves in your local area. The California Wolf Center is home to several packs of gray wolves, including an impressive pack of Alaskan gray wolves as well as multiple packs of Mexican gray wolves. Seeing their resident wolves helps people form a bridge of understanding and heightens interest in conserving wolves in the wild. The center offer a variety of programs to choose from, including public tours, private tours, school and youth programs, off-site presentations, special events, and more. Reservations are required for all programs. The Wolf Recovery Today program includes an educational presentation and guided observation of two packs of wolves, plus a 5”x7” photo of one of the wolves. During the spring and summer, the program runs on Saturdays at 2 p.m. and 4:30 p.m. and Sundays at 10 a.m. During the fall and winter, the program runs on Saturdays at 10 a.m. and 2 p.m. and Sundays at 10 a.m. Right now the California Wolf Center is offering a great deal through Groupon to visit their wolf sanctuary. The Wolf Mountain Sanctuary is located in the high desert of Southern California. 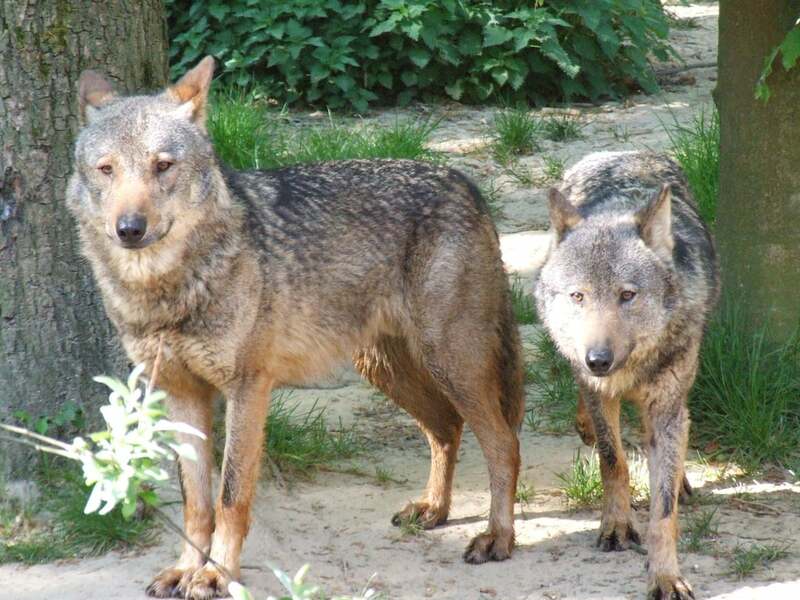 They rescue wolves from the movie industry, private owners and from breeders. The sanctuary is one of the few sanctuaries in Southern California where you can get very close to the wolves through different viewing areas. The Wolf Mountain Sanctuary is also offering great disounts through Groupon to visit their facility. Wolf Connection sits on a beautiful ranch with 165 acres in the mountains of Acton, California, an hour North of Los Angeles. There is a year-round stream, two working wells and a wilderness education center. The ranch offers a monthly community hike that includes a tour of the ranch, an introduction to the wolf pack and a guided hike through the Angeles National Forest. Each event last approximately 4 hours and costs $55/adult and $45/child. Children must be 7 years or older to attend a community hike. Want to bring your class or club to the ranch for a day of learning and fun? In an effort to promote education and their mission to inspire the next generation, Wolf Connection offers school visits at a discounted rate. For further information, you can email them directly at events@wolfconnection.org. 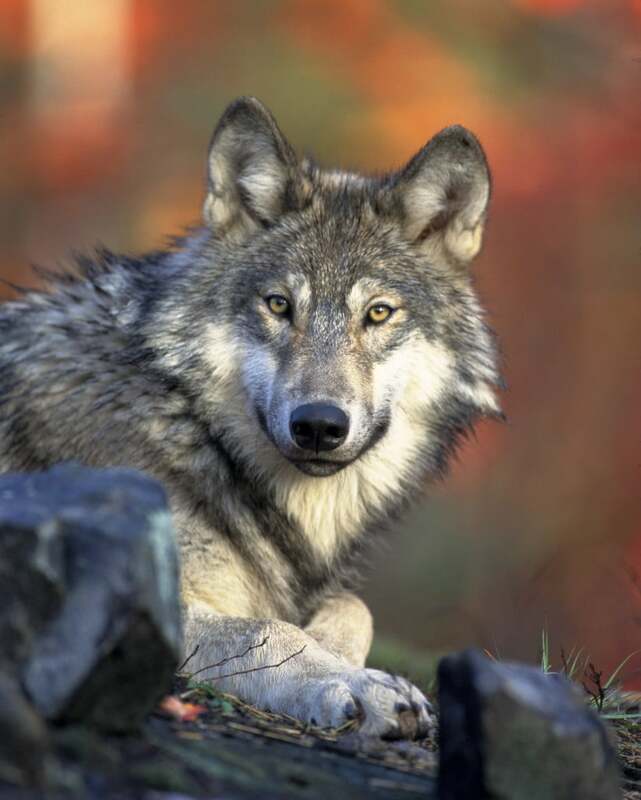 Project Wildsong’s mission is to dispel the myths and misconceptions concerning wolves and native North American apex predators. By raising awareness, they inspire the everyday individual to coexist with wildlife through their core values: Education. Collaboration. Conservation. Project Wildsong offers customized programs for kids based upon age, group size and interest level. Their education programs include World of Wolves, The Wolves of Myth and Lore and Wolves: An Ecological Keystone. Shadowland Foundation, with its pack of 8 wolf-hybrids, is dedicated to educating children of all ages about the true nature of wolves and their enormous contribution to the environment. Private on-site visits are available at the beautiful, 11 acre ranch in Lake Hughes for a once in a lifetime experience during your trip to learn about, run and play with the wolves. By Appointment Only, please call 818-766-1825 to schedule your visit, program or event. CSUF owns the Tucker Wildlife Sanctuary, a 12-acre, nonprofit preserve operated by the College of Natural Sciences and Mathematics. 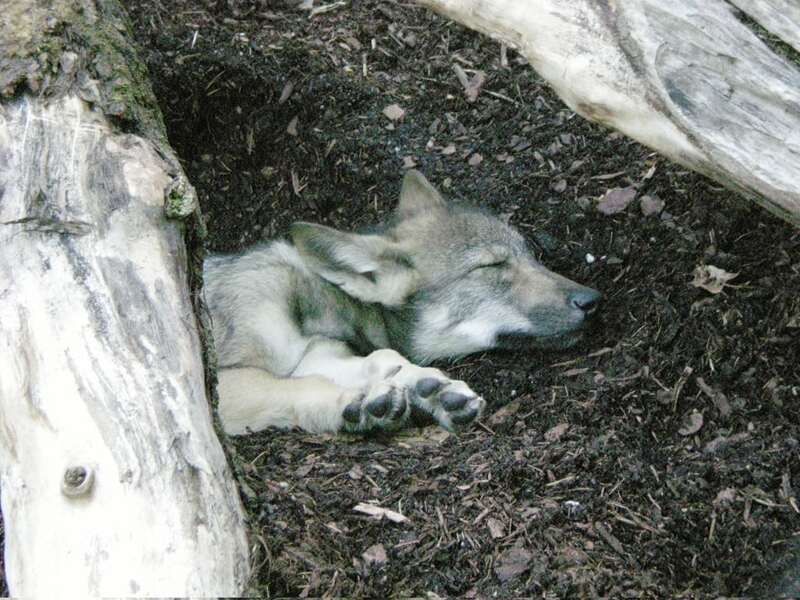 Once a year they host a presentation called “Wolves: Myths and Mysteries” where dozens of people attend for a chance to learn about and interact with live wolves. Placerita is an east-west running canyon featuring cool, shaded oak groves, a willow and sycamore-lined seasonal stream and numerous other interesting plant and animal communities. The historic Oak of the Golden Dream is the site of California’s original gold discovery in 1842. During National Wolf Awareness Week in October, the County of Los Angeles Department of Parks and Recreation sponsors a talk presented by Wolf Totem Ambassadors about how and why wolves are vital to the ecosystem. If you know about a place in Southern California that allows you to get up close and personal with wolves, please let us know in the comment section below.